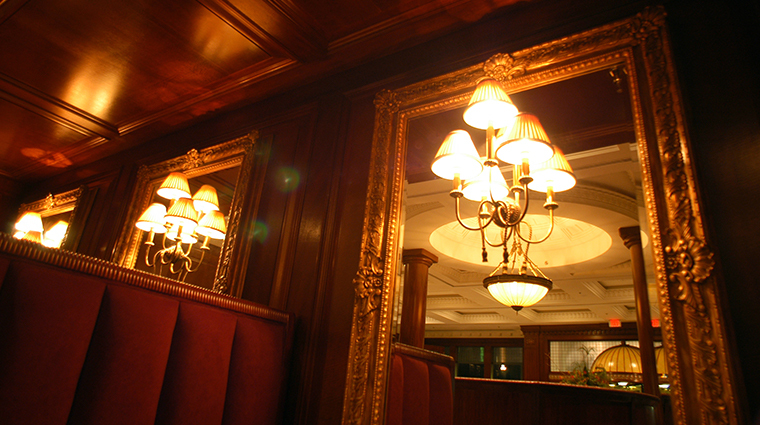 Enter the doors of Market Pavilion Hotel and you’ll hear “My Kind of Town” coming from Grill 225. The classic tune sets the mood for the old-school steakhouse experience (even though the restaurant only opened in 2002). Sit at a white-cloth-covered table amid wood-paneled walls and hardwood floors to try one of executive chef Demetre Castanas’ succulent steaks. The Charleston restaurant prides itself on being the only steakhouse in town to serve all USDA Prime beef, and Castanas butchers the meat himself. Among the cuts, which are wet aged between 42 and 50 days, choose a prosciutto-and-provolone-stuffed veal chop in a shallot-shiitake-mushroom reduction; a filet mignon with foie gras, truffled béarnaise and a fig demi-glace; or a filet stuffed with Roquefort and wrapped in applewood-smoked bacon. Of course, you can’t have a steak without sides such as heirloom mushrooms baked in a pastry shell and creamed corn with jalapeño and cheddar — a popular pick. 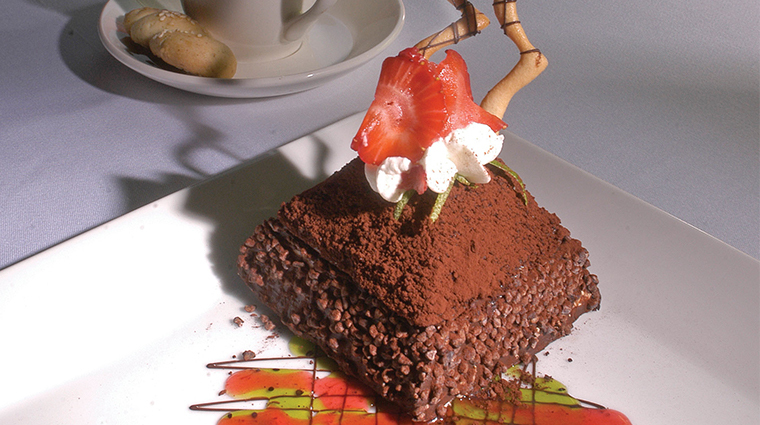 •Grill 225 offers a casual atmosphere, and there aren’t the hushed tones typical in fine-dining restaurants. Instead, you’ll hear boisterous laughing and conversation throughout the dining room, and maybe some chatter from little ones, since it’s also a kid-friendly restaurant. 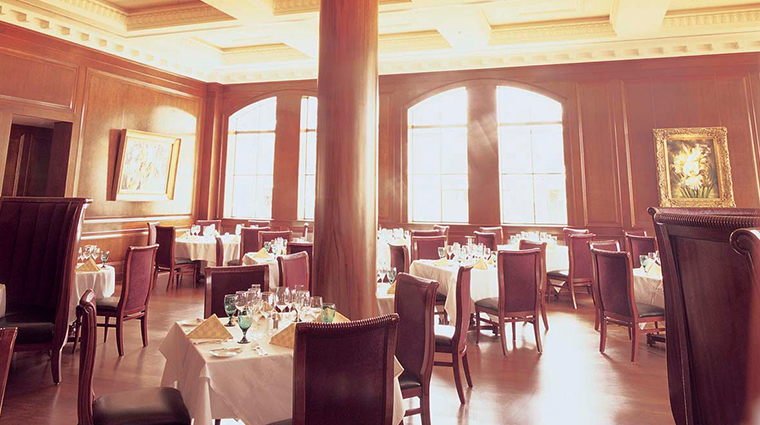 •Market Pavilion Hotel's signature restaurant has a traditional steakhouse vibe, with dark wood walls, a white-coffered ceiling and Rat Pack tunes in the background. •The dress code at Grill 225 in Market Pavilion Hotel is business casual. In general, Charleston is a pretty laid-back city when it comes to dressing up, so you won’t have to bring your suit or cocktail dress. Jeans are permissible, as long as men pair them with a nice button-down shirt and perhaps a sports coat, and ladies don a dressier blouse and heels. Women also can opt for dresses or skirts. •If you’d rather have a nightcap than dinner, head across the room to the wood bar. Sit near the painting of George Washington and order a Southern Style martini (peach schnapps, vodka and a splash of orange juice). •Because the restaurant is an open space in the hotel lobby, you’ll see people coming and going. 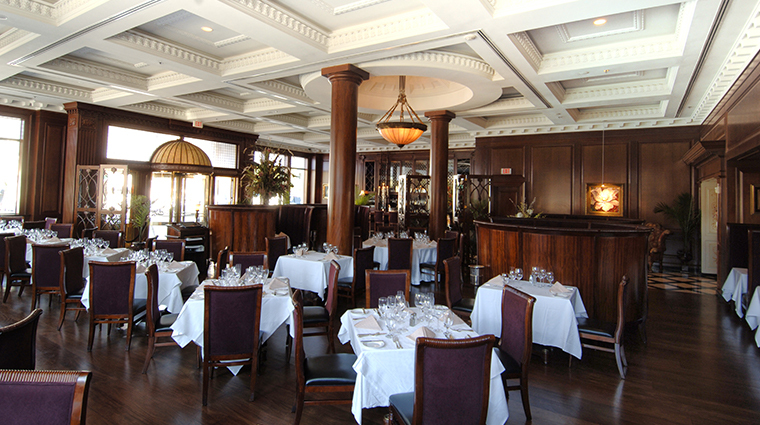 •While the red meat get top billing, the steakhouse serves a solid list of seafood. One of the finest catches is an appetizer: The tuna tower is a tall stack of rice, avocado, crabmeat and tuna tartare that gets a nice kick from lemon-chile oil. •Another deep-sea delight is the Maine lobster. Served family style, the lobster is prepared in almost any way you could want it, including scampi, thermidor and brandied with black cherries, tarragon and herb butter. 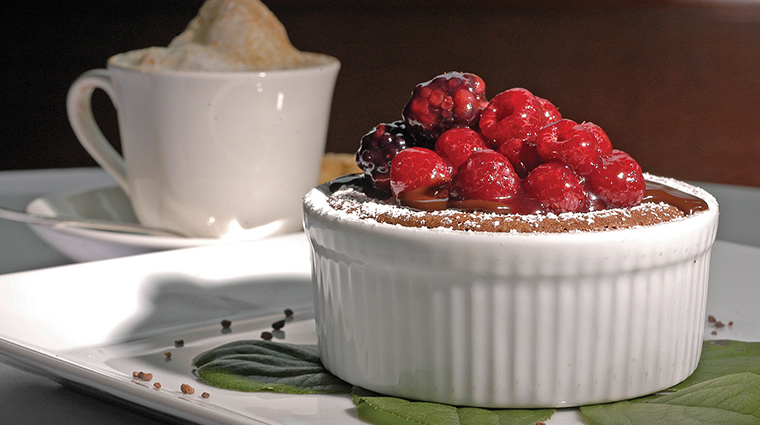 •Desserts are just as classic as the vibe at Grill 225. Try the impressive napoleon with thick layers of chantilly and vanilla creams, flaky pistachio puff pastry and berries.